Can our sleep dentists put you to sleep for fillings and crowns? Yes, Dr Gary Adams specializes in sleep-sedation at the dentist for any dental procedure. We offer intravenous IV sedation aka general sedation dentistry as well as oral sedation dentistry and dental gas sedation. Routine dental work such as fillings and cavities can be scary and can cause anxiety for many people. Local dentists who sedate can be difficult to find. Dr Adams is one of very few dentists in Maryland DC metro area who uses dental sedatives for routine dental care. Full sedation dentistry is available at our location in Burtonsville near Silver Spring, Clarksville and Columbia MD. We generally service the needs of Montgomery and parts of Howard and Prince Georges Counties, DC and Northern Virginia areas. 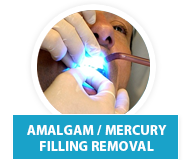 Many fillings and crowns can be completed in one appointment under full sedative dentistry. If your time is short and your nerves are high, why not get it all done in one sleepy appointment? No reason to worry and have fear and stress at the dentist. You will wake up and it will be all over. Less stress and anxiety during a dental appointment allows for better healing. Dental patients who are sedated usually have less pain, sensitivity and post care symptoms in general. Sedation usually leads to faster detox times from any pathogens or toxins released.